Eden Hazard is set to become the Premier League’s highest paid player with reports suggesting the Belgian ace is ready to put pen to paper on a new Chelsea contract. Reports from The Express suggest that the 27-year-old is now ready to commit himself to a new deal at Stamford Bridge, despite heavy speculation that Spanish giants Real Madrid were angling for his signature. Real Madrid’s interest in Hazard intensified over the summer following the shock exit of Cristiano Ronaldo to Juventus, Hazard would certainly be able to fill the void left by Ronaldo. The Express reported that Chelsea – who have been trying to convince Hazard to sign a new £300,000-a-week contract over the past year are now willing to up the ante by offering the superstar a whopping £350,000-a-week after Hazard’s impressive start to the season. 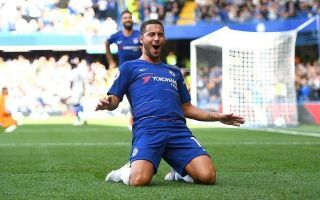 Hazard currently earns £200,000-a-week and his current deal is set to expire in 18 months, a new deal would see Hazard become the Premier League’s highest earner. Hazard has been in impressive form so far this season. The Belgian has reestablished himself as the Premier League’s best player under new Chelsea boss Maurizio Sarri. A new deal for Hazard will put the star ahead of the likes of Paul Pogba, on £290,000 a week at Manchester United and Arsenal’s Mesut Ozil, who picks up £306,000 a week. Hazard will even earn more than the current top-dog Alexis Sanches whose basic wage is a whopping £315,000 a week at Manchester United. 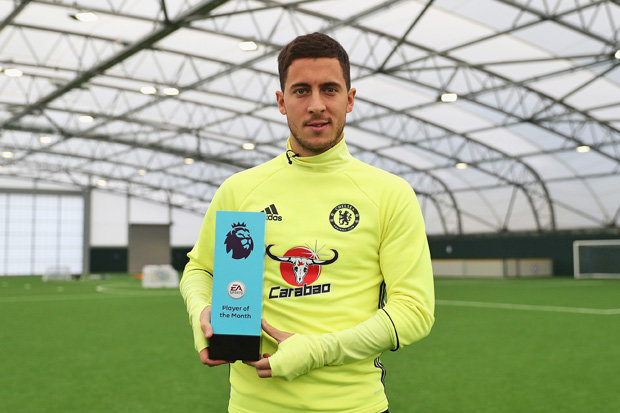 Hazard is on track to win his second Player of the Season award this season, Hazard has scored 7 goals for Chelsea in only 9 appearances so far this season.